What effect has globalization had on our understanding of literacy? Grassroots Literacy seeks to address the relationship between globalization and the widening gap between ‘grassroots’ literacies, or writings from ordinary people and local communities, and ‘elite’ literacies. Displaced from their original context to elite literacy environments in the form of letters, police declarations and pieces of creative writing, ‘grassroots’ literacies are unsurprisingly easily disqualified, either as ‘bad’ forms of literacy, or as messages that fail to be understood. 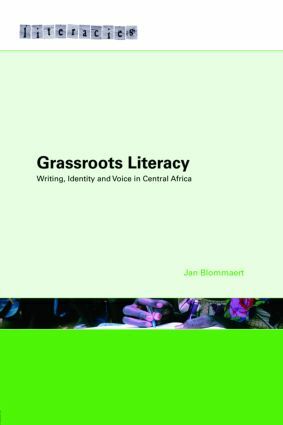 Through close analysis of two unique, handwritten documents from the Democratic Republic of the Congo, Jan Blommaert considers how ‘grassroots’ literacy in the Third World develops outside the literacy-saturated environments of the developed world. In examining these documents produced by socially and economically marginalized writers Blommaert demonstrates how literacy environments should be understood as relatively autonomous systems. Grassroots Literacy will be key reading for students of language and literacy studies as well as an invaluable resource for anyone with an interest in understanding the implications of globalization on local literacy practices.